To setup a new drive, see Initializing a new drive. To extend a volume into space that's not already part of a volume on the same drive, see Extend a basic volume. To shrink a partition, usually so that you can extend a neighboring partition, see Shrink a basic volume. To change a drive letter or assign a new drive letter, see Change a drive letter. If you get an error or something doesn't work when following these procedures, take a peek at the Troubleshooting Disk Management topic. If that doesn't help - don't panic! There's a ton of info on the Microsoft community site - try searching the Files, folders, and storage section, and if you still need help, post a question there and Microsoft or other members of the community will try to help. If you have feedback on how to improve these topics, we'd love to hear from you! Just answer the Is this page helpful? prompt, and leave any comments there or in the public comments thread at the bottom of this topic. To free up disk space, see Free up drive space in Windows 10. To defragment your drives, see Defragment your Windows 10 PC. To take multiple hard drives and pool them together, similar to a RAID, see Storage Spaces. EFI system partition - This is used by modern PCs to start (boot) your PC and your operating system. Windows operating system drive (C:) - This is where Windows is installed, and usually where you put the rest of your apps and files. 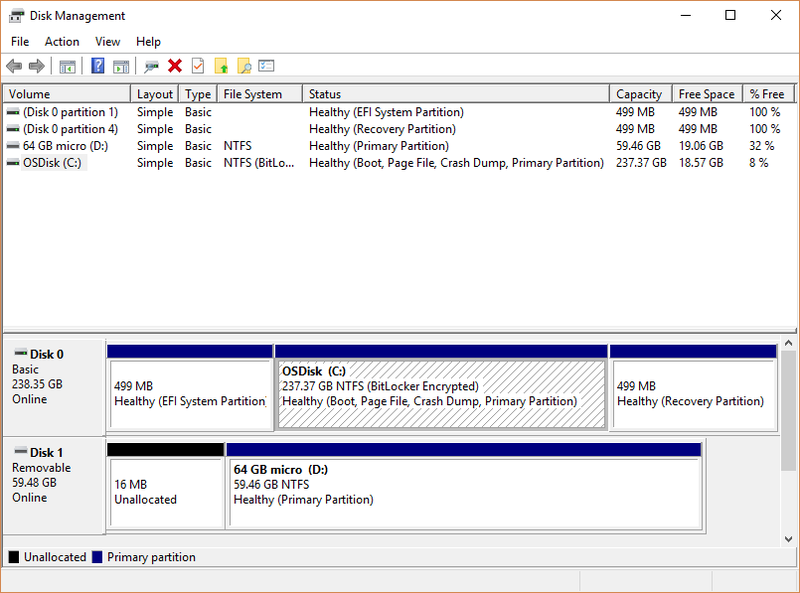 Recovery partition - This is where special tools are stored to help you recover Windows in case it has trouble starting or runs into other serious issues. Although Disk Management might show the EFI system partition and the recovery partition as 100% free, it's lying. These partitions are generally pretty full with really important files your PC needs to operate properly. It's best to just leave them alone to do their jobs starting your PC and helping you recover from problems.